Near the banks of the Avon, not far from the road to Warwick from Wellesbourne, a small monastery was founded about the beginning of the thirteenth century, to the honour of God, St. John the Baptist and St. Radegund. 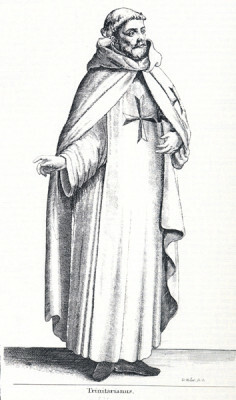 The canons belonged to a sub-order of the Augustinians and were by definition priests and not monks. We believe that this monastery was originally a house of canons of the short-lived order of the Holy Sepulchre, most of whose possessions passed, early in the thirteenth century, to the Order of the Holy Trinity for the Redemption of Captives. The Friars must have been an impressive sight with their white robes, representing God the Father, emblazoned with a blue and red cross signifying God the Son and God the Holy Ghost. Members of this order were under vows to divide all the possessions they enjoyed into three parts; one for their own sustenance, the second to relieve the poor of the district where their house might be established, and the third to redeem Christians kept captive by the infidels. The monastery was used, not only for the shelter and sustenance of the religious men of the order, but also as a hospital for the relief of the poor and for the reception of pilgrims on their long journey to and from Palestine. As we shall discover, religion played a hugely important part in people’s daily lives in medieval times and this is nowhere better shown than by studying the influence of the Thelsford Friars. 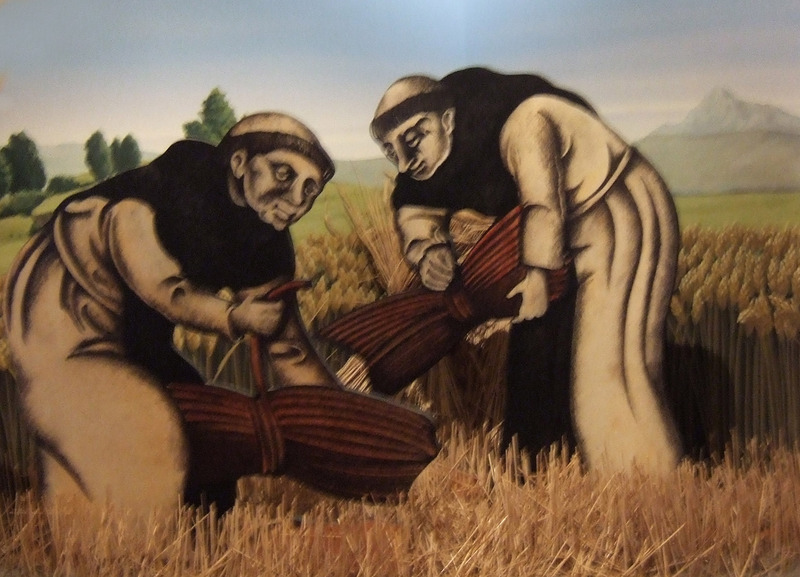 The Friars of Thelsford were based at a monastic farm or Grange opposite the church in Barford.They cultivated the fertile land stretching down to the river growing, harvesting and storing crops for use throughout the year. Water-power was harnessed to mill the grain. As we shall see later, they had been granted fishing rights in the Avon and may have stored their catch in stew ponds in the village. They would have collected taxes, in the form of 10% crops harvested, in tithe barns. When Henry VIII dissolved the monasteries, the Grange and land was sold to new generations of landowners and this extraordinary monastic link with Barford was severed for ever. Walter de Bereford, Lord of the Manor, and his wife Alice gave land in Barford to the canons of Thelsford in the very early 13th century. It was in King John’s days, Henry de Bereford, Walter’s son, and Isabel his wife, gave Barford Church and other property in the parish to the canons of St. Radegunde of ‘Theuelisford’. Henry’s daughter and heir, Denise de Bereford, married William de Nasford about 1220 thus bringing the Lordship into his family. We know that the Minister at Thelsford was called Elias in 1247. In 1250 their estates passed in turn to their son, Hugh, and thence to his nephew William de Nasford who married Nicole. Their son, John, succeeded in 1268. In order to build up ‘spiritual capital’, he may have decided that the monks could do the praying and he would do the debauching! 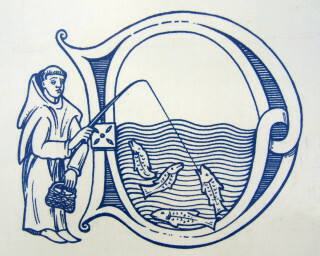 Accordingly he gave the monks of the Abbey of Evesham a grant of “the fishing in the Avon from the Mill to his own mill-dam, every day of the week but Sunday, with leave to make a pound at Barford for such cattle as should trespass on their lands, also 3 virgates called the Free Hide, exempt from all secular service, together with free egress and ingress for their cattle to and from the common pasture of Barford”. In addition he gave them the advowson of the church of St Peter which they held until the dissolution of the monasteries. At last an end of the de Berefords and Nasfords! In 1284, the Bishop Giffard commissioned Robert, prior of Thelsford, to hear confessions and enjoin penances throughout the diocese. In 1312 the bishop of Worcester publicly absolved the minister, Henry, and the brethren of Thelsford, who had been excommunicated for ‘the damnable presumption of fabricating letters of Pope Clement’. In 1329, when Edward III was at Kenilworth, the Minister, Thomas de Offyngton, and the brethren, received many grants for the house. 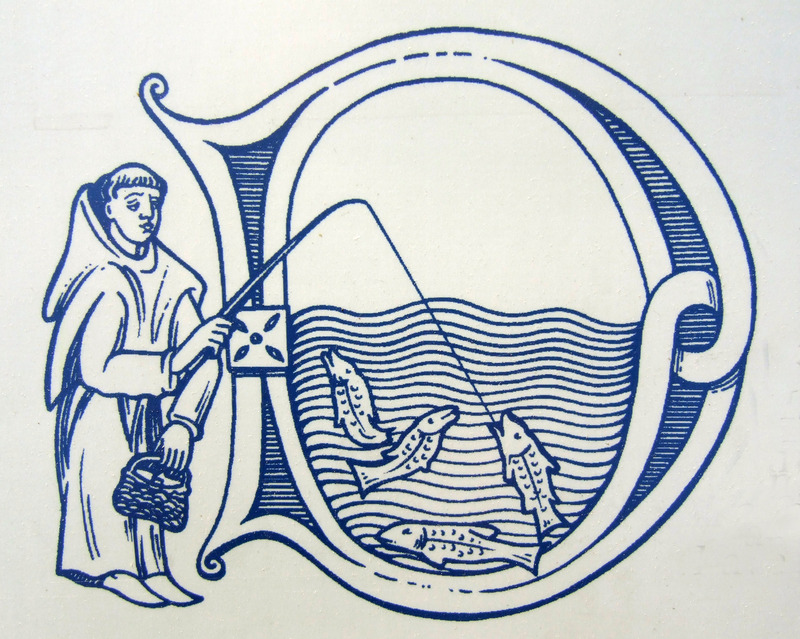 In July, 1467, Bishop Carpenter renewed letters of indulgence for the upkeep (sustentation) of the order of the Holy Trinity and Redemption of Captives of the house of St. Radegund, Thelsford, to last during the pleasure of the diocesan. Some four or five hundred years ago, there was also “a reputed Mannour” in Barford. This was given away to the Collegiate Church of Westbury on Trym, near Bristol by the Earl of Warwick, Richard Neville, known as the “Kingmaker” following the royal example of King Edward the Fourth. In any event, it was Westbury which nominated Baldwin Hide as Rector of Barford in August 1466. At the beginning of the 16th century monasteries owned well over a quarter of all the cultivated land in England. In August 1535, Thomas Cromwell, by now Vicar-General, sent a team of officials to find out what was going on in the monasteries. After reading their reports Henry VIII decided to close down 376 monasteries. Monastic land was seized and sold off cheaply to nobles and merchants who in turn sold some of the lands to smaller farmers. This process meant that a large number of people had good reason to support the closure of the monasteries as farmers who had rented land from the monks often criticized them for being greedy and uncaring landlords. It was also claimed that the monks had been corrupted by the wealth obtained from renting their land. In 1549 it seems that almost the only land in Barford not held by Henry VIII was the Glebe belonging to the then Rector, John Sewall. The King sold the Westbury manor land which eventually passed back to an Earl of Warwick, John Dudley. At the time of Elizabeth I, this land was once more in the ownership of the crown, and she passed it to Ambrose Dudley, Earl of Warwick and his male heirs. There were also other small properties within the parish of Barford held by the religious houses of Henwood, Kenilworth, St Mary’s Warwick, Bordesley and Evesham. It was not just Barford who was so generous towards the Thelsford friars. The information about the Charlecote involvement gives us a vivid insight into the workings of the Thelsford Priory and emphasises how the Catholic religion influenced the mind set of the people of the time. Readers who feel this is peripheral may wish to skip this section but it is interesting! In 1354 Thomas Lucy, then lord of Charlecote, and Philippa his wife, gave certain lands at Charlecote to the friars of Thelsford to celebrate mass for their souls. In 1394 Sir William Lucy, Roger Strange, and John, vicar of Wellesbourne, gave toThelsford 40 acres of land and 6 acres of meadow. In 1492 another Sir William Lucy ceded to the house certain privileges that his ancestors had always enjoyed at Thelsford, and by his will of the same year left 40shillings to the friars for his funeral rites (obsequies). His son and heir, Edmund Lucy, in his will of 1498, asked to be buried in the Lady chapel of the church of Thelsford, on the north side of his mother Margaret. He bequeathed to that house a cross of silver-gilt of the value of £10, to be bought by his executors. Forty marks were appointed to be spent there on the day of his burial among the priests, clerks, and poor people. He also willed that at his ‘month’s mind’ (a service of remembrance one month after his death) twelve poor men should hold torches round his grave, each of them receiving a black gown and hood and 4d.in money. He stipulated that his anniversary should be kept at Thelsford for twenty years after his death at an annual cost of 40shillings and that one of the Thelsford priests should sing mass in the chapel for his soul and the souls of his relatives for six years, 8 marks being paid for the same. His grave was to be covered with a marble stone 7 ft. by 4 ft. with the arms and effigies of himself and his wife. Edmund’s wife, Joan Hungerford, in her will, dated 1514, desired to be buried by his side. The Valuer of 1535 gave the clear annual value of this house as £24 19shillings; being a house of friars it did not come under the provisions of the Act of 1536. On 18 March, 1538, William Lucy, of Hampton Lucy, wrote to the bishop of Worcester that there was a small house near him of the order of the Trinity, of which he was patron. There were very few houses of this order in the realm. He was anxious to make an agreement with the head of the house by which he might recover the house and land, and he would continue payment of the tenth yearly due to the king. Dr London pulled down this idol with her manger! On 22 January, 1539, Dr London wrote to Cromwell that he had committed the custody of the late friary of Thelsford to Mr. Lucy. He described the house as in much ruin and the church little and unfinished. To have defaced them would not have put £20 in the king’s pocket, but standing as it does it may do Mr. Lucy’s pleasure, whom he describes as a man of learning, living quietly with his neighbours, and having many children and brothers and sisters on his hands. So ends over 300 years of monastic influence over the inhabitants of Barford. In 1545, the monastic farmhouse, Barford Grange was sold to William Pynnok and it later came into the possession of the Ward family.